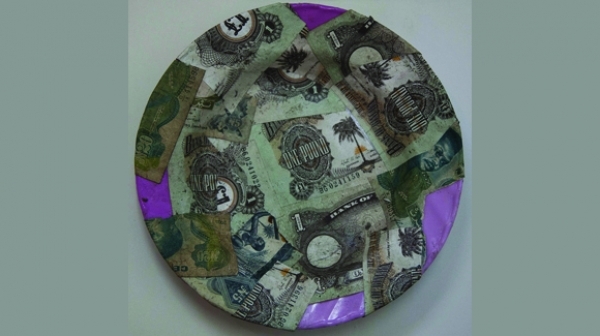 Born in 1974 in Delta State, Uche Uzorka has become one of the major voices in the contemporary Nigerian fine art scene. Since his studies at University of Nigeria Nsukka, he has developed a unique personal style that led him ultimately to winning the 2011 National Art Competition. Strongly influenced by the urban context, Uche Uzorka has been able to translate his vision into a visual pattern that reveals the dichotomy of order and chaos.